The Criterion Collection has announced their list of titles dropping this June. 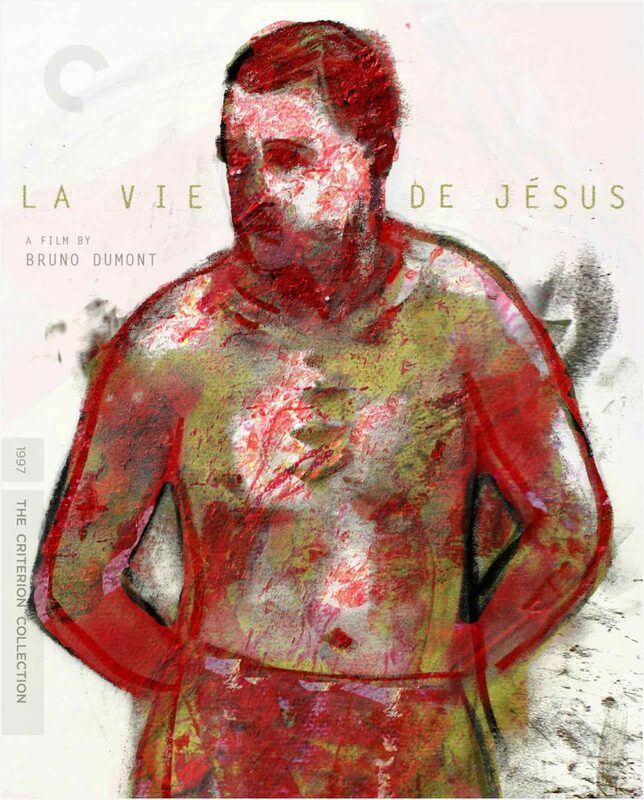 Bruno Dumont’s La vie de Jésus and L’humanité will finally receive the Criterion Collection treatment while Ingmar Bergman’s A Film Trilogy will get upgraded from DVD to Blu-ray. George Stevens’ Swing Time, John Cameron Mitchell’s Hedwig and the Angry Inch, and Sergei Bondarchuk’s War and Peace will also join the collection. Read on for all the juicy Criterion Collection specs, and of course, a look at the cover art. This June, John Cameron Mitchell’s trailblazing queer rock musical Hedwig and the Angry Inch will join the Criterion Collection, making its Blu-ray debut in a new 4K restoration. Sergei Bondarchuk’s Oscar-winning epic War and Peace, an awe-inspiring adaptation of Tolstoy’s classic novel, will appear in a major new restoration. Fred Astaire and Ginger Rogers play out a fine romance and perform some of Hollywood’s greatest dance numbers in the irresistible musical comedy Swing Time, appearing on Blu-ray for the first time. The French iconoclast Bruno Dumont explores the human condition through the brutality and beauty of small-town life in his first two films, La vie de Jésus and L’humanité, both appearing in new 4K restorations approved by the director. And that’s not all, our year of releases commemorating Ingmar Bergman’s centennial draws to a close with a Blu-ray edition of the Swedish master’s trilogy of chamber dramas exploring faith and alienation: Through a Glass Darkly, Winter Light, and The Silence. In 1960, Swedish director Ingmar Bergman began work on three of his most powerful and representative films, eventually recognized as a trilogy. Already a figure of international acclaim for such masterpieces as The Seventh Seal and The Magician, Bergman turned his back on the expressionism of his fifties work to focus on a series of chamber dramas exploring belief and alienation in the modern age. Collaborating with the distinguished cinematographer Sven Nykvist, and eliciting searing performances from his refined cast of regulars-Harriet Andersson, Gunnar Björnstrand, Gunnel Lindblom, Ingrid Thulin, and Max von Sydow among them-Bergman unleashed Through a Glass Darkly, Winter Light, and The Silence in rapid succession, exposing moviegoers worldwide to a new level of intellectual and emotional intensity. Drawing on Bergman’s own upbringing and ongoing spiritual crises, the films of the trilogy examine the necessity of religion and question the promise of faith. While vacationing on a remote island retreat, a family finds its fragile ties tested when daughter Karin (an astonishing Harriet Andersson) discovers her father (Gunnar Björnstrand) has been using her schizophrenia for his own literary ends. As she drifts in and out of lucidity, Karin’s father, her husband (Max von Sydow), and her younger brother (Lars Passgård) are unable to prevent her descent into the abyss of mental illness. Winner of the Academy Award for best foreign-language film, Through a Glass Darkly, the first work in Ingmar Bergman’s trilogy on faith and the loss of it, presents an unflinching vision of a family’s near disintegration and a tortured psyche further taunted by the intangibility of God’s presence. “God, why hast thou forsaken me?” With Winter Light, Ingmar Bergman explores the search for redemption in a meaningless existence. Small-town pastor Tomas Ericsson (Gunnar Björnstrand) performs his duties mechanically before a dwindling congregation, including his stubbornly devoted lover, Märta (Ingrid Thulin). When he is asked to assuage a troubled parishioner’s (Max von Sydow) debilitating fear of nuclear annihilation, Tomas is terrified to find that he can provide nothing but his own doubt. The beautifully photographed Winter Light is an unsettling look at the human craving for personal validation in a world seemingly abandoned by God. Two sisters-the sickly, intellectual Ester (Ingrid Thulin) and the sensual, pragmatic Anna (Gunnel Lindblom)-travel by train with Anna’s young son, Johan (Jörgen Lindström), to a foreign country that appears to be on the brink of war. Attempting to cope with their alien surroundings, each sister is left to her own vices while they vie for Johan’s affection, and in so doing sabotage what little remains of their relationship. Regarded as one of the most sexually provocative films of its day, Ingmar Bergman’s The Silence offers a disturbing vision of emotional isolation in a suffocating spiritual void. In this irresistible musical, the legendary dancing duo Fred Astaire and Ginger Rogers are at the pinnacle of their art as a feckless gambler and the shrewd dancing instructor in whom he more than meets his match. Director George Stevens laces their romance with humor and clears the floor for the movie’s showstopping dance scenes, in which Astaire and Rogers take seemingly effortless flight in a virtuosic fusion of ballroom and tap styles. Buoyed by beloved songs by Dorothy Fields and Jerome Kern-including the Oscar-winning classic “The Way You Look Tonight” – Swing Time is an exuberant celebration of its stars’ chemistry, grace, and sheer joy in the act of performance. * New interview with George Stevens Jr.
With this trailblazing musical, writer-director-star John Cameron Mitchell and composer-lyricist Stephen Trask brought their signature creation from stage to screen for a movie as unclassifiable as its protagonist. Raised a boy in East Berlin, Hedwig (Mitchell) undergoes a traumatic personal transformation in order to emigrate to the U.S., where she reinvents herself as an “internationally ignored” but divinely talented rock diva, characterized by Mitchell as a “beautiful gender of one.” The film tells Hedwig’s life story through her music, an eclectic collection of original punk anthems and power ballads by Trask, matching them with a freewheeling cinematic mosaic of music-video fantasies, animated interludes, and moments of bracing emotional realism. A hard-charging song cycle and a tender character study, Hedwig and the Angry Inch is a tribute to the transcendent power of rock and roll. With his stunning debut feature, the risk-taking auteur Bruno Dumont immediately established his reputation as both a spiritual heir to Robert Bresson and an uncompromising iconoclast on the cutting edge of French cinema. Blending unflinching realism with moments of startling, light-filled beauty, La vie de Jésus finds unexpected philosophical richness in the quotidian, small-town existence of Freddy (nonprofessional David Douche in a revelatory, one-off performance), an aimless young man with epilepsy who, in his childlike simplicity, embodies both great tenderness and terrifying brutality. Leaving the film’s cryptic title tantalizingly open to interpretation, Dumont dares viewers to see the divine in a seemingly dead-end world. The transcendent second feature by Bruno Dumont probes the wonder and horror of the human condition through the story of a profoundly alienated police detective (the indelibly sad-eyed Emmanuel Schotté, winner of an upset best actor prize at Cannes for his first film performance) who, while investigating the murder of a young girl, experiences jolting, epiphanous moments of emotional and physical connection. Demonstrating Dumont’s deftness with non-actors and relentlessly frank depiction of bodies and sexuality, L’humanité is at once an idiosyncratic police procedural and a provocative exploration of the tension between humankind’s capacity for compassion and our base, sometimes barbarous animal instincts. At the height of the Cold War, the Soviet film industry set out to prove it could outdo Hollywood with a production that would dazzle the world: a titanic, awe-inspiring adaptation of Leo Tolstoy’s classic tome in which the fates of three souls-the blundering, good-hearted Pierre; the heroically tragic Prince Andrei; and the radiant, tempestuous Natasha-collide amid the tumult of the Napoleonic Wars. Employing a cast of thousands and an array of innovative camera techniques, director Sergei Bondarchuk conjures a sweeping vision of grand balls that glitter with rococo beauty and breathtaking battles that overwhelm with their expressionistic power. As a statement of Soviet cinema’s might, War and Peacesucceeded wildly, garnering the Academy Award for best foreign-language film and setting a new standard for epic moviemaking. For more info about Criterion Collection releases click here.